(19/P018) TRENTON – Citing near daily findings of dangerous chemicals in New Jersey’s air, land and water, the Department of Environmental Protection is identifying five companies it says are responsible for the extensive contamination and directing them to fund millions of dollars in assessment and cleanup efforts, Commissioner Catherine R. McCabe announced today. The directive issued today requires the five companies – Solvay, DuPont, Dow DuPont, Chemours and 3M – to provide the DEP a detailed accounting of their use and discharge of polyfluoroalkyl and perfluoroalkyl substances, collectively referred to as PFAS chemicals, in New Jersey. It requires information ranging from use and discharge of the chemicals through wastewater treatment plants, air emissions, and sales of products containing the chemicals to current development, manufacture, use and release of newer chemicals in the state. It also notifies the companies that the state will hold them financially responsible for the cost of remediation and treatment of PFAS-related contamination. New Jersey continues to lead the nation in researching and regulating PFAS chemicals. Today’s directive is a first of its kind in the nation by directing chemical manufacturers to conduct a statewide assessment of the damage caused and to establish a fund to remediate the impacts. PFAS chemicals are used in the manufacturing of plastics, some of which are used in nonstick cookware, stain-resistant coatings for upholstery, water-resistant breathable outdoor clothing and firefighting foams. They have been used to make brands such as Stainmaster®, Scotchgard®, Teflon®, Gore-Tex®, and Tyvek®. PFAS chemicals have been produced and used commercially and industrially for more than 60 years. The chemicals can have dangerous effects when released into the air, land and water. Among the most well-studied PFAS chemicals are PFNA, PFOA, PFOS and GenX, a replacement for PFOA. PFNA, PFOA and PFOS are discovered on a near-daily basis in New Jersey’s drinking water, groundwater, surface waters, sediments, soils, air, fish, plants and other natural resources. They are cause for concern because none of the chemicals are naturally occurring; they do not break down in the environment; and research suggests they pose a variety of human health risks, even at low exposure, especially to developing fetuses and infants. Although these chemicals have been in use around the world for decades, regulatory agencies are only just starting to understand the dangers the compounds pose to human health and the environment. In February, the Environmental Protection Agency announced a plan to address PFAS contamination nationally, but that plan is expected to take years to enact. The DEP issued the directive under the authorities granted by New Jersey’s Spill Compensation and Control Act, Water Pollution Control Act and Air Pollution Control Act. These state laws empower the DEP to act to prevent environmental pollution, enforce environmental laws and obtain documentation about the discharge of pollutants. Today’s groundbreaking directive to some of the nation’s largest chemical manufacturers is just the latest step by New Jersey to address the health and environmental dangers associated with PFAS compounds. In September 2018, New Jersey became the first state to adopt a maximum contaminant level (MCL) of 13 parts per trillion for PFNA in drinking water, the strictest such standard in the nation. New Jersey’s standards supersede those of the U.S. Environmental Protection Agency, which does not regulate the chemicals that have been linked to cancer and other illnesses. Earlier this month, the DEP established interim specific groundwater quality standards for both PFOA and PFOS, at 10 parts per trillion. New Jersey is among the first states to pursue regulation of these compounds. For more information about the potential health effects of PFAS exposure, visit: https://www.nj.gov/health/ceohs/documents/pfas_drinking%20water.pdf. 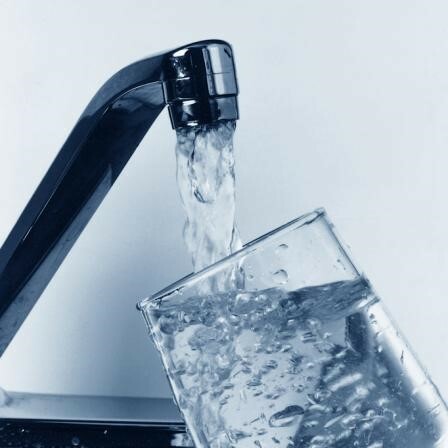 To learn more about how drinking water impacted by PFAS could be treated, including through the use of granular activated carbon systems as recommended by the Drinking Water Quality Institute, visit: https://www.nj.gov/dep/watersupply/pdf/pfna-pfc-treatment.pdf. And, for more information about these chemicals and other Contaminants of Emerging Concern, visit https://nj.gov/dep/srp/emerging-contaminants/.